The Winnebago Seed Fund is managed by David Trotter, Managing Director of the Fund’s General Partner, Winnebago Capital Partners. Trotter is a Northeast Wisconsin native and Fox Valley resident. 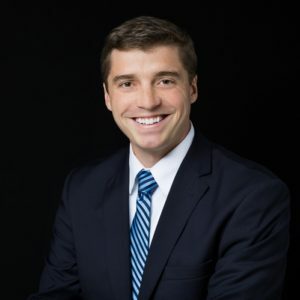 Trotter holds a Bachelor of Science in finance from Marquette University’s Applied Investment Management Program, as well as the Chartered Financial Analyst® and the Chartered Alternative Investment Analyst® designations. He most recently spent several years as a portfolio manager in Neenah, WI, managing over $350 million dollars in client assets. Trotter worked closely with local business leaders to develop criteria for a fund focusing on Wisconsin entrepreneurs and startup companies. The result is the Winnebago Seed Fund. Copyright © 2019 Winnebago Seed Fund · All Rights Reserved.